The Federal Government has announced that they will provide $50 million in grants to eligible businesses and community organisations through the Energy Efficient Communities Program. Interestingly, some local MPs in South Australia have decided to promote this program through their own networks, leading to some confusion. Here is the information to date as can be seen on the Government website. Note that details of the program are still to be finalised and that we have an election coming up prior to the commencement date of the program. completion of energy systems assessments according to the Australian Standard or feasibility studies to investigate energy efficiency opportunities. 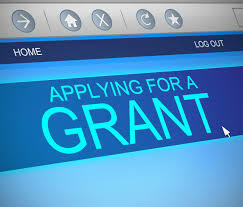 Funding of up to $12,500 is available for eligible organisations, and applications open September 2019 through the business.gov.au website. No co-contribution is required for this stream. Eligible small businesses will be able to claim grants of up to $20,000, high-energy using businesses up to $25,000. Large businesses will be required to make co-contribution – dollar for dollar. Definitions of eligible business will be refined during program design. Stakeholder consultation on business grant program design will occur in August 2019. This grant stream will not be available until January 2020. While expression of interest forms are being circulated by some local MPs, this process has not been stated as a requirement on the Federal Government website.